Sam Glenn is back by popular demand! You do not want to miss him! Let’s be real, we have all had dreams or aspirations of being the superhero in the movies or books, but what about in real life? Is it possible? ABSOLUTELY! This key message of “Be Your Own Superhero”, will focus on living the best version of yourself and using your strengths to make positive contributions. The core of this speech is empowering people to choose an attitude that works for them and their organizational success, personal and professional development, serving customers with excellence, building a culture where people thrive, improving communication and becoming the kind of person that people are excited to be around. Wednesday's keynote address is during the opening general session at approximately 12:00pm. Connecting to what inspires us and to what enables us to grow . This can be education, learning new ways of doing things, learning from others and bringing value to what we do and who we are. The roots of success is also based on working with others. Everybody plays a role in the success of the tree. It is important to recognize respect and acknowledge what others do in a positive way. We achieve more when we work together. The roots of success is based on developing a greater resilience through the seasons. Life is filled with changes and challenges and the unexpected. Having a positive attitude does not stop the seasons from coming but it equips us to withstand the test of time and it allows us to find solutions that work for moving forward. and adversities. We need to learn how to use these lessonsto grow and to prosper from. And that is how we become more resilient. If we want to be successful and bring greater value to those that we serve, we have to focus on the roots that make success possible. 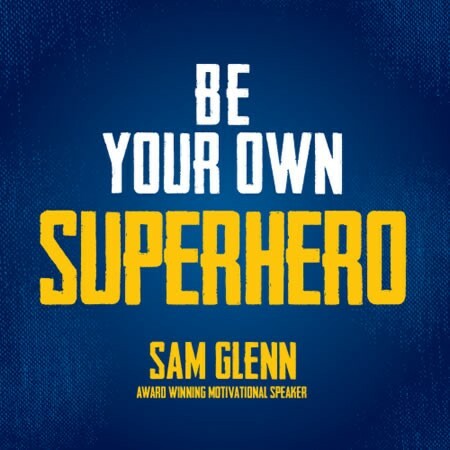 With Sam Glenn, “It’s all about attitude and it all starts with attitude!” Sam went from working nights as a janitor – negative, depressed and sleeping on the floor – to discovering renewed purpose, happiness and humor. 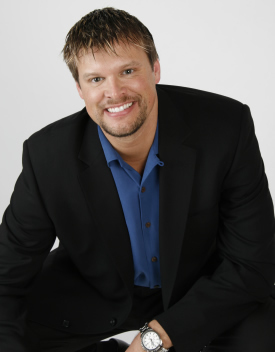 Sam Glenn has been named Speaker of the Year on several occasions by meeting and event organizations and won two national awards for his training videos. Hundreds of organizations use Sam’s videos monthly to kick off their staff meetings (www.SamGlenn.com). For the past 20 years, Sam Glenn has been traveling the country full time speaking to audiences from every industry and some crowds as large as 75,000 people. In addition, Sam is a gifted artist and author of 18 books. Sam and his wife and two girls currently reside in Carmel, Indiana, but are originally from Minnesota. Sam has a popular online newsletter – A Kick in the Attitude, which he gives away a large one of his large paintings every month to one of his subscribers. Sign up for a chance to win his artwork at www.SamGlenn.com.